Early in the fall, Bulldozer asked if we could have a Christmas party this year. I responded with a maybe and left it at that. Bulldozer wasn't satisfied with my answer, and asked the same question every day for two weeks. It was then I realized he was serious. After much discussion, Jason and I decided to appease Bulldozer and have a Christmas party, inviting all of the kiddos' grandparents. 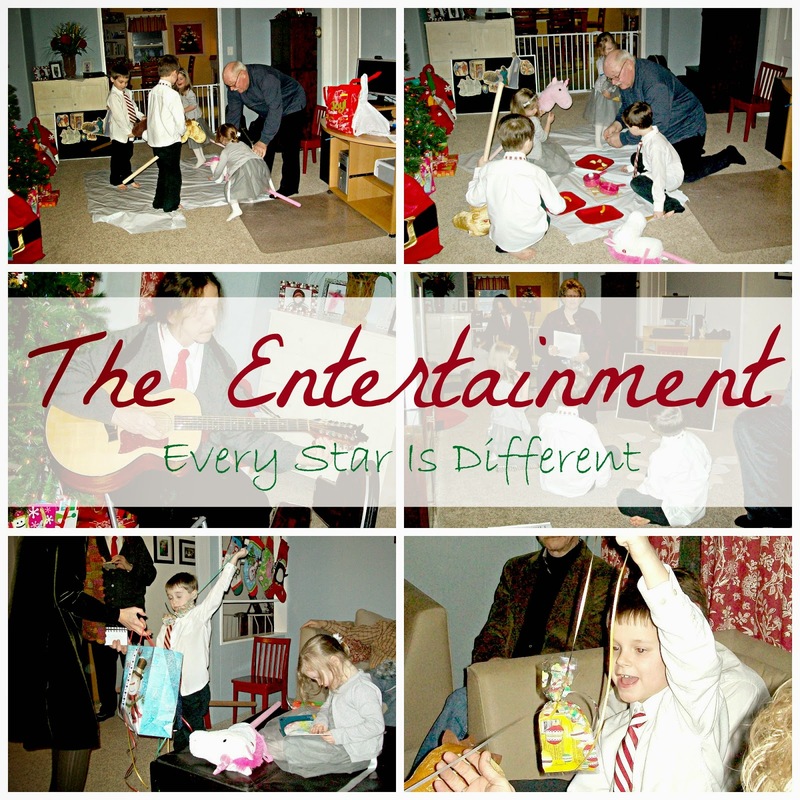 We knew if we wanted a successful party, the kiddos would need to be involved in planning every detail. Assignments were given to grandparents as well, when they received their invitations. 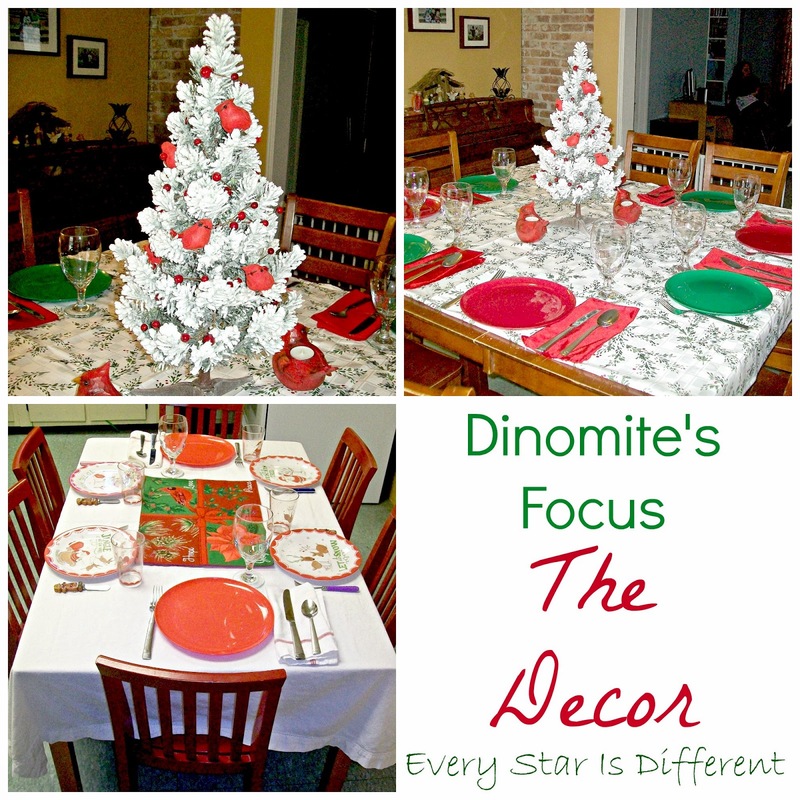 Dinomite loves decorations on special occasions, especially when there's a party. Originally he had wanted a Nutcracker themed party, but finding decorations proved to be very difficult, if not impossible. So, we decided to decorate using red cardinals. I was able to find the white Christmas tree for a centerpiece. Dinomite went shopping with me to pick out other decorations that included a table clothe, place mat, white lights, red cardinals, cranberry decor, etc. The kiddos each helped decorate pine cones, painting them white and sprinkling them with glitter also. The finished product, combining all we had collected was beautiful. Dinomite also helped decide on, and purchase gifts for all of the grandparents coming. As part of the RSVP to the party, each grandparent was asked to share 3-5 hobbies and/or interests. Dinomite used these lists as he carefully selected gifts for each person. Grandparent received two individual gifts each. So much thought went into them. Everyone LOVED what they received. 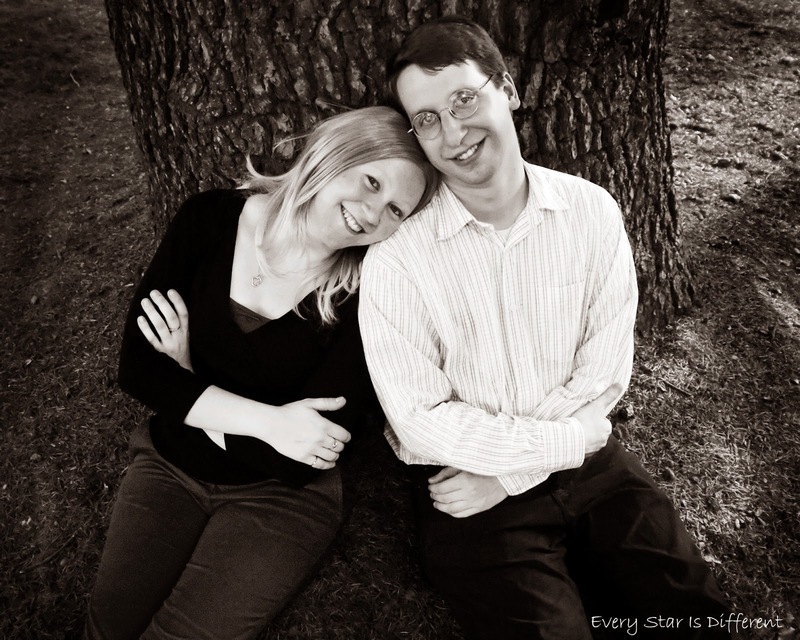 Each couple also received one combined homemade gift. To go along with our theme, the kiddos and I made beautiful bird seed wreathes. Princess wanted to make sure everyone looked their best for the party. 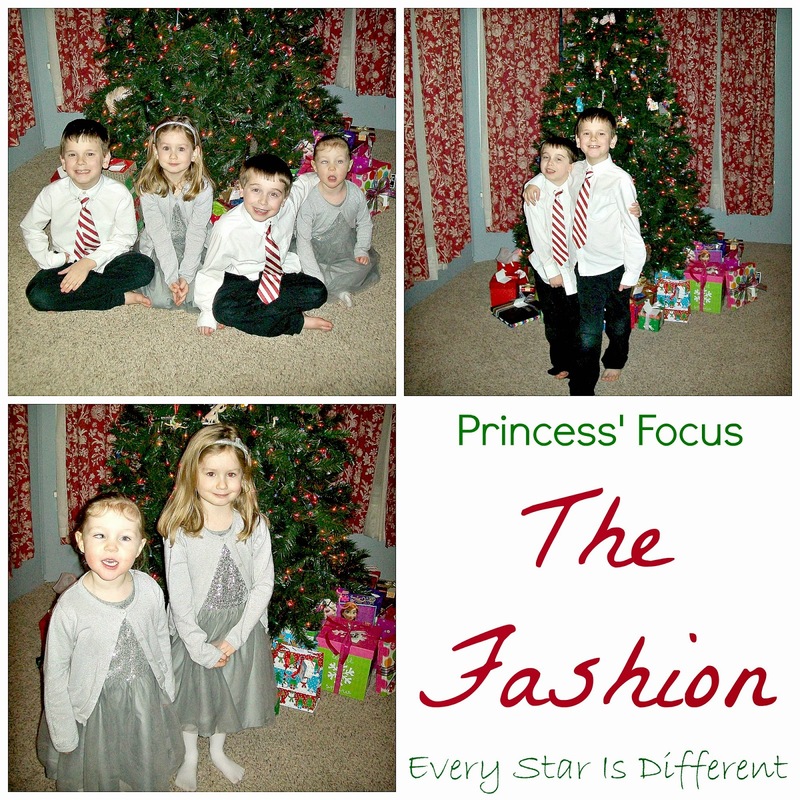 She requested that all guests wear their Sunday best, and then picked out dresses for her little sister and herself. They had to match of course. 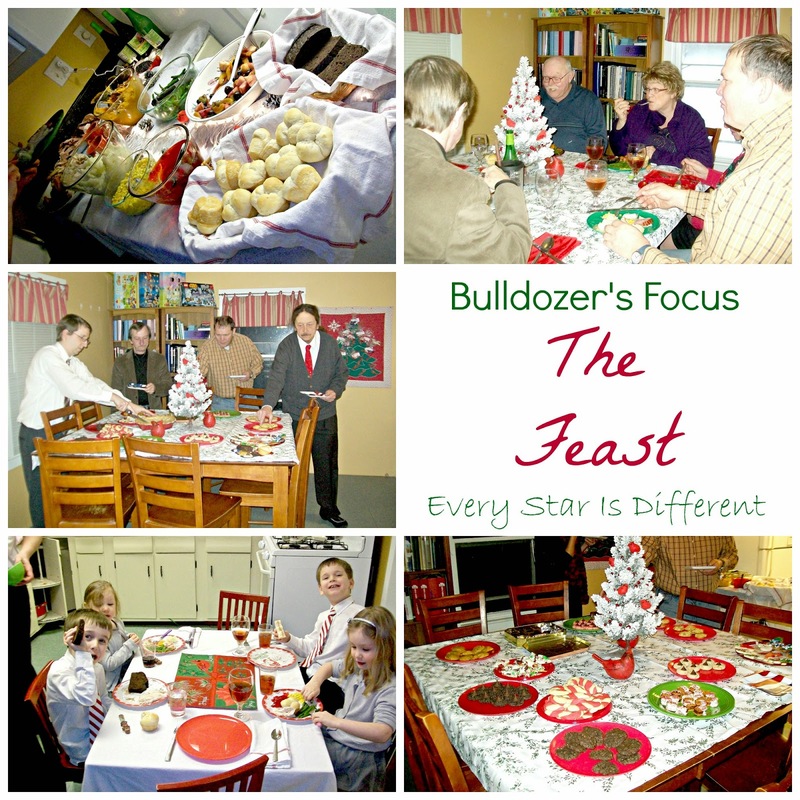 Bulldozer was all about "the feast" as he called it. It had to be perfect and include a huge "roast beast" aka turkey, which for some reason was impossible to find the 2nd week in December. In the end we served a turkey, bone in ham, stuffed acorn squash rings (vegetarian main dish), mashed potatoes, maple sweet potatoes, green beans, corn, fruit salad, jello, homemade rolls, and chocolate zucchini bread. To ensure everyone's happiness at a holiday meal, we make sure that each child can (allergy safe) and will (sensory issues) enjoy eating at least two dishes offered. The kiddos each choose at least one dish to be served. Jason and I then choose one specific dish we each want. Once all of the requests have been made, I go through and try to make sure each color of the rainbow is included in the presentation, and that we've included all food groups. The kiddos helped with this process this year. Holidays are special in our house, in that we have a rule that everyone can eat as much or as little as they want at meal time of whatever dishes they want to. Ex: If Sunshine only eats four rolls for dinner, that's okay. 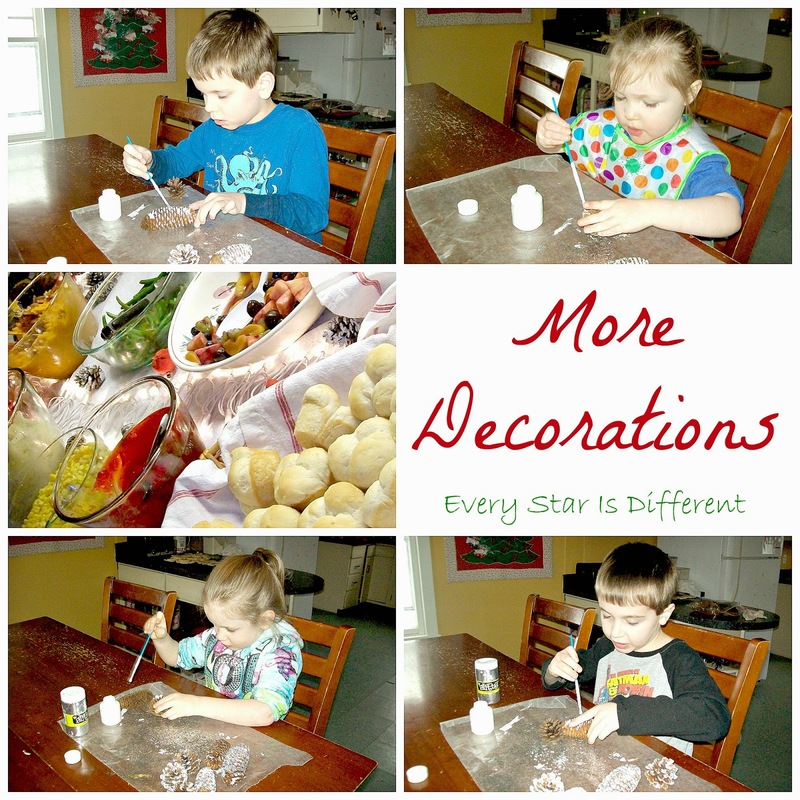 All of the kiddos look forward to this holiday tradition, which is very different from our daily mealtime rules. Bulldozer LIVES for treats, especially cookies. Our party dessert spread had to be quite large to meet his expectations. The kiddos baked all week long. There were no less than 10 cookie options. Dessert was served at the very end of the party. Sunshine LOVES music and requested that we sing songs at our party. 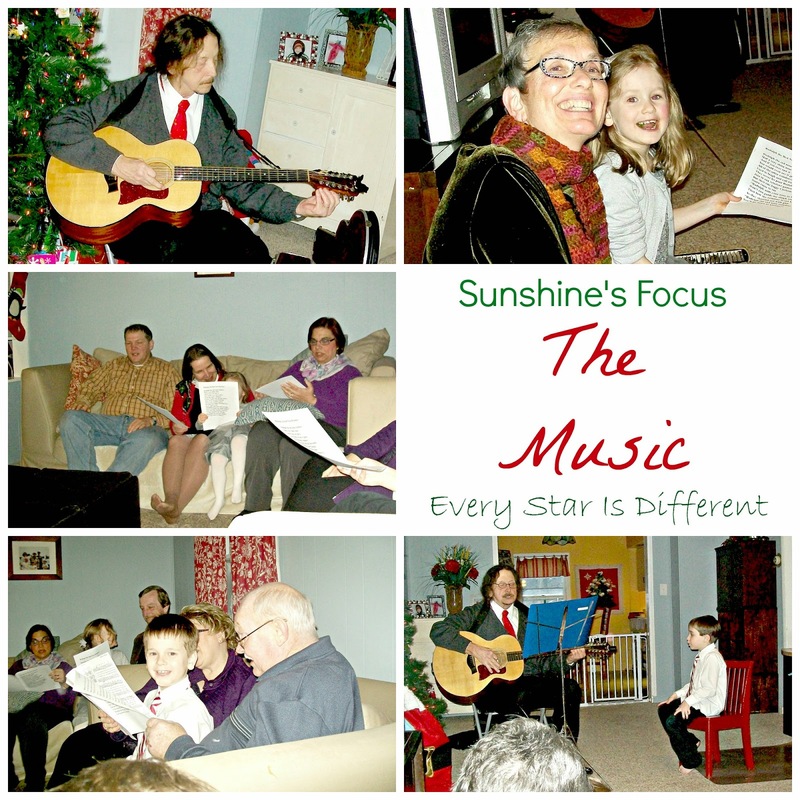 We are very blessed with a lot of musical talent in our extended family. Grandpa Ron was asked to bring his guitar and be ready to play accompaniment while everyone sang Christmas carols. The kiddos selected 8 songs they wanted to sing ahead of time. Everyone had copies of the words just in case. The carols sounded amazing and was a HUGE hit at our party! Knowing my special needs kiddos would need structure during the party, I asked them what else they'd like to do. They all wanted entertainment. As mentioned above, Grandpa Ron led us in Christmas carols. Grandma Jackie followed with a spiritual moment about the Savior Jesus Christ and his birth. Grandpa Rob then shared a story about a special memory he had from his childhood related to Christmas/Winter. The kiddos had so much fun as he brought props for them to act out the memory (Attending horse races on the frozen river, followed by a winter picnic on the ice.) Grandma Toni finished with a couple games, one of which included everyone choosing strings attached to gifts from a bag. After dinner, music, and entertainment, came the opening of gifts. The kiddos were each given a special chair to sit in and took turns opening gifts, youngest to oldest. 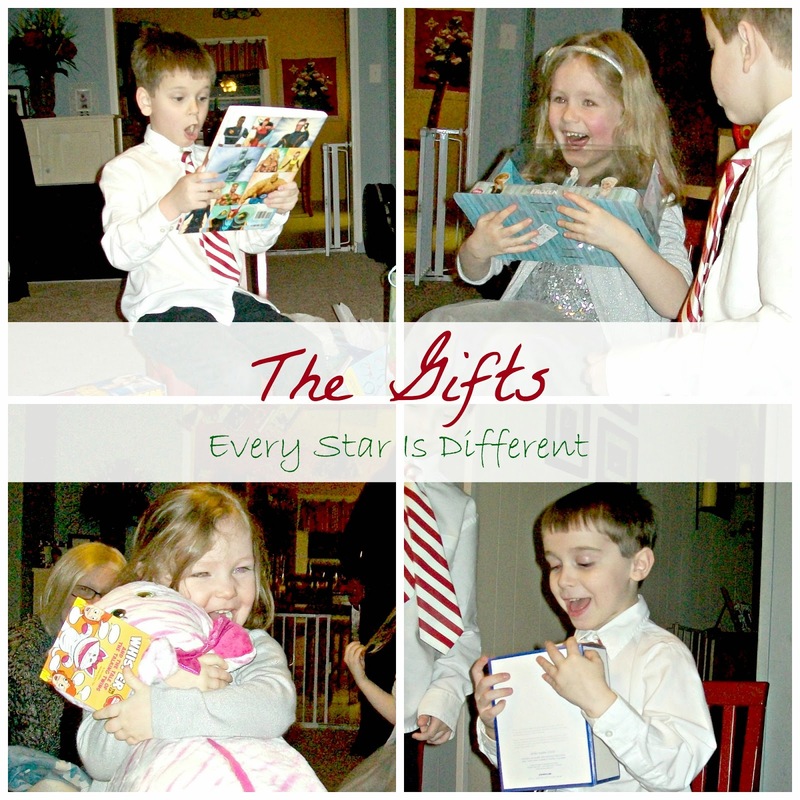 Before the party, we reviewed this practice several times and explained that they could open their gifts, but no toys would be removed from wrapping or torn open until after grown ups opened their gifts, and the kiddos' gifts were taken upstairs in their rooms. Christmas' past have taught me this lesson. (Missing pieces and broken toys are not fun.) The kiddos did fabulous with this during the party. Grandparents helped pick up bags, boxes, and tissue paper. They also helped kiddos take toys up to their rooms. Then while Grandparents played with kiddos and their new toys upstairs, Jason and I set up the dessert table. Everyone enjoyed desserts and socialized quite a while before leaving. We were so blessed to have all four sets of grandparents attend, traveling to New York from as far away as Delaware for the event. Bulldozer had the time of his life. Since his food allergies and adhesive allergies were diagnosed, we've never been able to attend big holiday celebrations outside of our home. 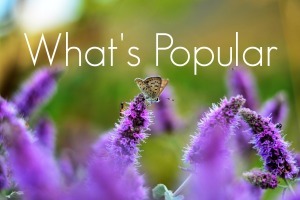 This is due to safety issues with wrappings and food. When Princess came to us with her Christmas PTSD episodes etc., it made the holiday that more impossible to share with others. Our first Grandparent Christmas Party was perfect in that Princess felt safe and Bulldozer was able to experience everything and anything he had been missing in years past, in the safety of his own home. 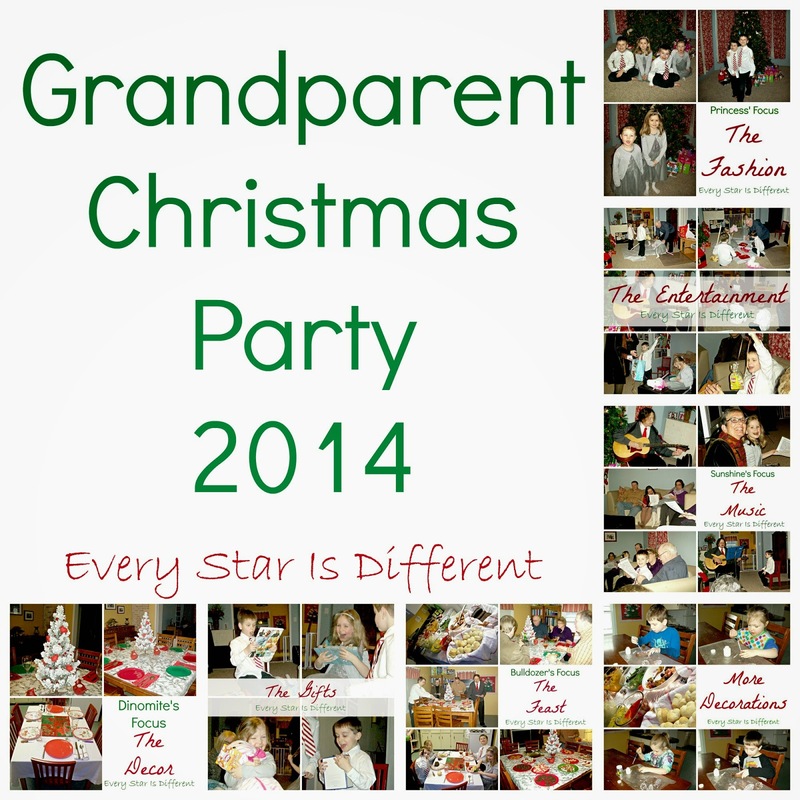 Already grandparents are asking about next year's Christmas party, requesting specific duties and wanting to reserve the date. The kiddos are so fortunate to have four sets of grandparents who love them so much! This is fabulous! Thanks for sharing all the details! This sounds like a wonderful day. It is so great that you have grandparents that are so understanding and willing to participate. I saw your pin on Pinterest and came to your sight. What a lovely story of a meaningful Christmas. You sound like a loving parent to these great kids.